Food Playground : Snowskin mooncakes? Are you thinking: these are mouldy mooncakes? No! 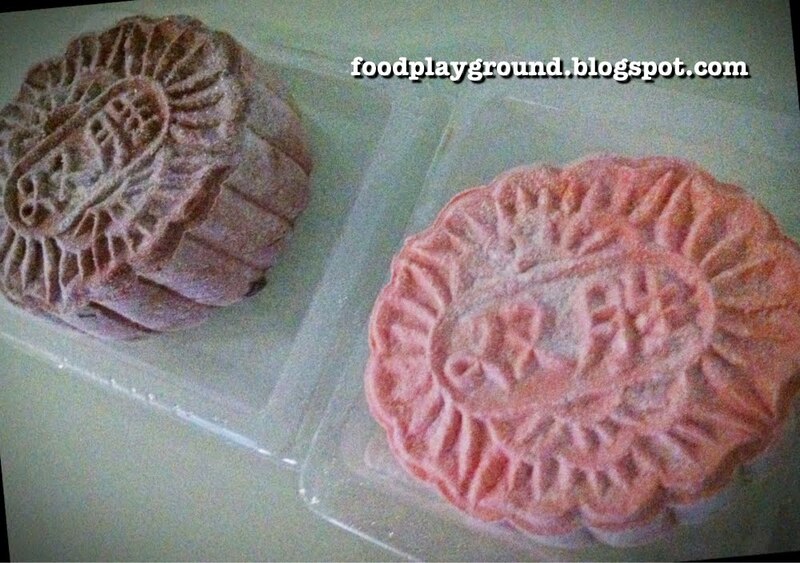 These are Ice cream mooncakes that I just took out from fridge. And they are from Swensen's. Thanks to Swensen's, for giving me the chance to try Strawberry Fields Forever and Sticky Chewy Chocolate flavour mooncakes. And you can try them if you purchase the limited edition Disney mooncakes, in the shape of Mickey, packaged in a colourful Mickey die-cut box – perfect for whole family and will interest the young ones to keep as a memento. I like both, the chocolate flavour mooncake is not too sweet and the strawberry flavour has bits of strawberries and smell so good. One minus point is the skin, if the skin can be thinner, it will be perfect. If you interested, can consider buying them before 9 Sept to enjoy early bird offer: 15% off with major credit cards. Both the Swensen’s regular ice cream mooncakes and Disney mooncakes will be available at all Swensen’s and Earle Swensen’s outlets from 11 August to 30 September 2012.